People live nearly six times longer after being diagnosed with cancer now than they did four decades ago. The charity said that the figures reflected ‘real progress’ in how long people live after being diagnosed with cancer. 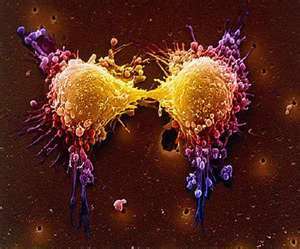 Patients diagnosed with six cancers, including breast, colon and non-Hodgkin’s lymphoma, can expect to live for longer. The median survival time is more than ten years. But survival times for lung, brain and pancreatic cancer are still ‘counted in weeks rather than years’, the charity said. The findings are based on the charity’s analysis of the London School of Hygiene and Tropical Medicine’s relative survival index, an audit based on the Office for National Statistics (ONS) data on mortality. “This research is a huge breakthrough in seeing the real picture of how long people are living after a cancer diagnosis, ” according to Ciaran Devane, the charity’s chief executive.